Richard Russo is the author of Mohawk, Empire Falls, etc. He is not the same author as either Richard Anthony Russo [co-editor of the Yellow Silk anthologies with Lily Pond, and editor of Dreams Are Wiser Than Men] or the science fiction writer, Richard Paul Russo [the "Carlucci" novels, "Singleton" novels, etc.]. Please do not combine these authors; thank you. “Jennifer Haigh’s stories rove across time and cultures as easily as they render the tendernesses and longings and hardscrabble deprivations of home. News From Heaven is well-named, given that its unsentimental compassion and observational acuity. . . is just what we need right now.” Jim Shepard, author of Like you'd understand, anyway “The characters in Jennifer Haigh’s News From Heaven are so vividly drawn, the inner lives revealed so deftly, with such intelligence and sympathy, that fictional Bakerton, Pennsylvania, takes on the additional weight of, say, Winesburg, Ohio.” Richard Russo, Pulitzer Prize–winning author of Empire Falls Jennifer Haigh is the author of four critically acclaimed novels, Faith; The Condition; Baker Towers, winner of the L.L. Winship/PEN New England Award for Fiction, and Mrs. Kimble, for which she won the PEN/Hemingway Award. Her short fiction has been published widely, including in The Atlantic, Granta, The Best American Short Stories 2012, and other publications. She lives in the Boston area. Tickets and more information will be available soon. 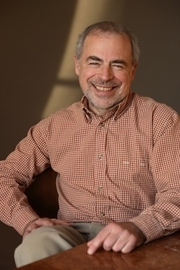 The Vermont College of Fine Arts, Montpelier will be hosting distinguished author Richard Russo on July 2 at 4:30. Bear Pond will be selling his books at the event. Award-winning novelist and screenwriter Richard Russo is the author of seven novels and two short story collections. Empire Falls won the Pulitzer Prize for fiction in 2002. His most recent book is the memoir Elsewhere. Conversation with VCFA President Thomas Christopher Greene: July 2, 4:30 p.m., Alumni Hall. Richard Russo - the Pulitzer-prize winning author of Empire Falls - and his daughter Kate Russo will speak about their new book, Interventions, at Phoenix Books Burlington on Saturday, June 23rd at 7:00 pm. Richard Russo has been an unabashed supporter of independent bookstores and recently spoke at BookExpo America on “Why Indies Matter,” which is also the name of the American Booksellers Association's newly launched video campaign that captures unscripted testimonials about independent bookstores from authors, customers, and indie supporters around the country. "I don't want independent bookstores to survive," Russo said in an interview with Publishers Weekly's Judith Rosen. "I want them to thrive." In what many perceive as a coldly relentless digital age, Richard Russo has teamed up with Kate Russo to create Interventions, their tribute to the printed book. What makes the book truly special is the unusual format: Each story is an individually soft-bound volume with a cover illustration by Kate. Framable prints of her paintings accompany each book and all are collected into a slipcase. Conceived by Kate's husband, designer Tom Butler, the format is an integral part of Interventions. The Russos' intention is for the reader to experience the work in the tangible, tactile way only a printed book can provide. Read Russo's New York Times op ed Amazon's Jungle Logic. Read the New York Times article, Russo's Family Battles Amazon on Two Fronts. Read the Boston Phoenix's article, Richard Russo pairs with his artist daughter. Richard and Kate discussed Interventions on Maine Public Broadcasting Network. Breitbart review of Interventions: Russo Clings to the Power of the Printed Page. Visit Richard Russo on Facebook. Pulitzer Prize-winning author Richard Russo unveils Interventions, a never-before-published novella collection with four long stories in a uniquely formatted book. Each story is individually bound and illustrated with an original piece of full-color art, painted by Richard’s daughter Kate. All are gathered in a slipcase. The four stories positively crackle with Russo’s piercing and understated insight into the lives of ordinary people. This is a completely unique work of story telling by one of our great writers. Richard Russo is the author of several novels, a collection of short stories, and several produced screenplays. His novel Empire Falls won the 2002 Pulitzer Prize for Fiction. He lives in coastal Maine and Boston. Kate Russo was born in Altoona, Pennsylvania, in 1982. She moved to Maine with her family at the age of nine. She has a B.A. from Colby College and an M.F.A. from the Slade School of Fine Art in London, England. She currently lives in Rockland, Maine, with her husband, Tom. She has exhibited all over England and recently at Susan Maasch Fine Art in Portland, Maine. In December 2011 Pulitzer-prize winning author Richard Russo (author of seven novels including Empire Falls) wrote a now-famous New York Times editorial defending the value of bookstores in an increasingly digital age. Now, Russo has teamed up with his daughter, artist Kate Russo, to create Interventions, a triumphantly analog tribute to the printed book. In a unique format of four volumes in a slipcase (printed in the United States on the finest sustainably harvested papers), Interventions combines the previously unpublished novella “Intervention” with three shorter works, two of which have not been published in book form. Each volume is paired with a small color print of a painting by Kate Russo. Richard and Kate will discuss their collaboration and the surrounding issues, and will be introduced by Richard's daughter and Kate's sister Emily Russo, a bookseller at Greenlight. Richard Russo reads from Interventions. Richard Russo reads from That Old Cape Magic. Richard Russo is currently considered a "single author." If one or more works are by a distinct, homonymous authors, go ahead and split the author. Richard Russo is composed of 5 names. You can examine and separate out names.